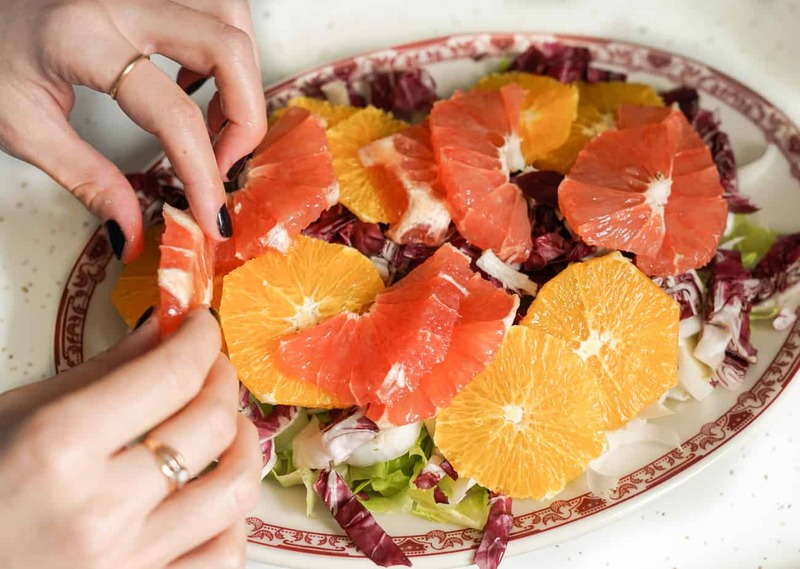 This endive and radicchio salad with oranges and grapefruit is a refreshing way to kick off spring! Today is the first day of spring and I could hardly be more excited. It’s actually sunny as I write this, the temperature is above freezing, and I even heard birds singing this morning. It’s almost time for flowers, boozy picnics, and breezy dresses… almost! After months of eating hearty stews and root vegetables, what better way is there to celebrate the rebirth of nature than with a colorful, juicy, refreshing salad? This combo is one of my favorites and I think you’ll love it, too. First up, we’ve got chicories. What are chicories? They’re a family of vegetables closely related to the lettuce family but have a distinctly bitter flavor. They include Belgian endive, French endive (the curly kind, a.k.a. frisée), escarole, and radicchio, and their growth season lasts from fall to early spring. 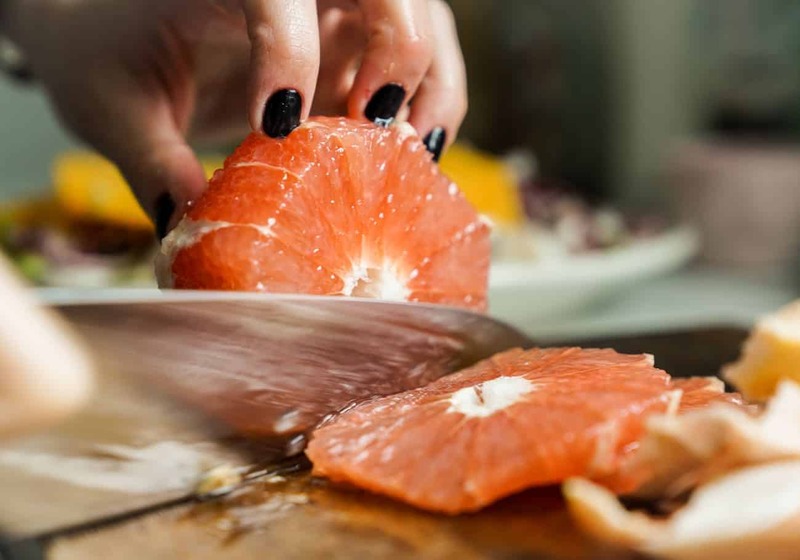 In Ayurveda (the ancient Indian wellness philosophy), bitter is considered the most medicinal of the six tastes, and bitter vegetables like chicories are celebrated as anti-inflammatory, anti-viral, and detoxifying. In a nutshell, chicories are perfect for early spring – since we’re more prone to getting sick during periods of changing weather, they can help keep us healthy. Their detoxifying properties are also helpful right now because we can all use a little cleansing after months of sedentary hibernation. Isn’t it amazing how nature gives us exactly what we need when we need it? 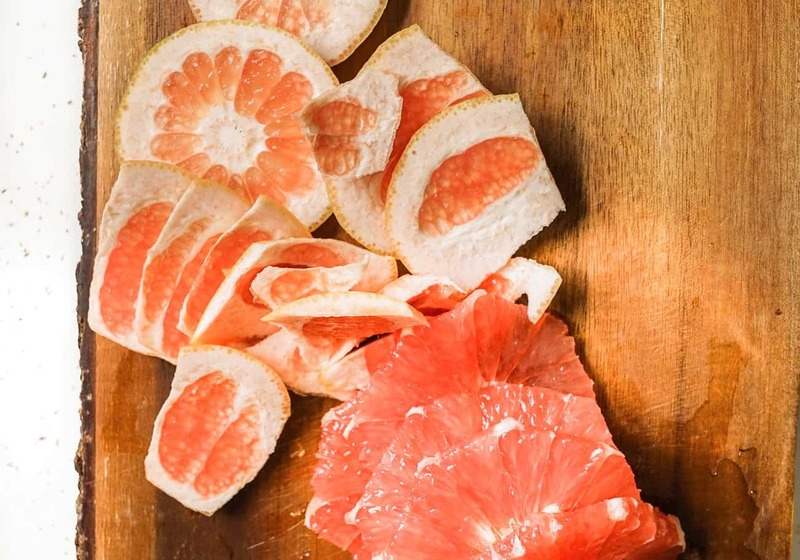 Next up, citrus, which is also in season right now, and high in immunity-boosting Vitamin C. Orange and grapefruit are the perfect complements for endive and radicchio because their sweetness and tang counteract the bitterness of the vegetables. 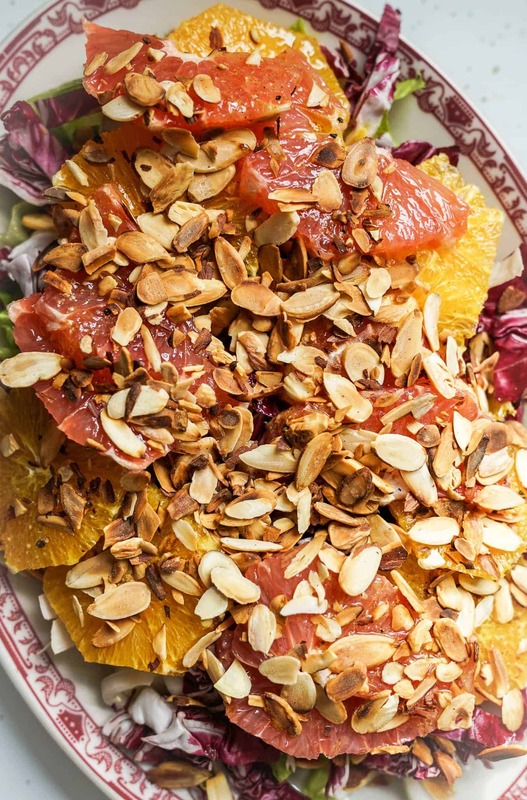 Toasted almonds add a satisfying crunch to this salad. Lastly, we’ve got a basic vinaigrette, jazzed up with one special ingredient: miso. Miso (fermented soybean paste) is super savory and salty, and just a tiny bit helps balance this salad with an umami taste. 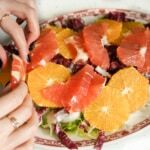 This endive radicchio salad with oranges and grapefruit works great as first course for a dinner party, or as a side dish. And if you celebrate Easter, it’d be perfect for that too.